Amazon's early investment in cloud continues to pay off as AWS' revenue jumped by 45 percent during Q4 2018, further cementing its lead over rivals Microsoft and Google. The company's cloud division managed to beat analysts' estimates and saw increased sales that reached $7.43bn which is up from $5.11bn a year ago. The company's operating income for the quarter was $2.18bn and it helped account for 58 percent of Amazon's overall operating income. At the same time, AWS' operating margin shrank from 31 percent during Q3 to 29 percent in Q4. "We are getting more and more creative around getting efficiency up and getting our cost of acquisition down." 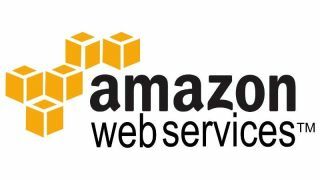 AWS allowed Amazon to gain an early foothold in the cloud infrastructure market with Microsoft and Google trying to play catch up every since. Microsoft may still be smaller than AWS but the company recently announced that Azure's cloud revenue grew by 76 percent during the last quarter. Amazon's cloud division made several big announcements this quarter including new computing instances that run on ARM-based server chips, custom-built chips for speeding up AI workloads and a plan to provide hardware bundled with AWS software for enterprise data centers.